Uh oh! You wake up and you can feel that tingly itching near your mouth or on your lip that you know from experience means you are about to get a dreaded cold sore. Don’t you just hate that! For the next week or so you are going to suffer all the various stages from the initial tingling and itching, to the clusters of blisters over your sore inflamed skin. You might even feel unwell and have a temperature or like you are getting the flu. You don’t feel like being seen by anybody looking like that either and you feel embarrassed. It is pretty hard if not impossible to hide or cover up cold sores. Cold sores are actually a visual manifestation of a virus that can lay dormant in your nervous system for years. The cold sore virus is actually called Herpes Simplex 1. Cold sores can be triggered by a few things such as when you get sunburn, you are rundown and your immune system is low or when you are suffering from stress. Cold sores are highly contagious so it is best not to be kissing people or sharing your eating and drinking utensils, your lipstick or your towels and such. Make sure you wash your hands often. Try to leave the sores alone apart from when you are treating them. If you release the liquid from the sores it can make them spread even more. It is a good idea to keep a few new tooth brushes on standby for when you have an outbreak and also a couple of small tubes of toothpaste that only you will be using. Why? Well apparently the herpes virus can last for a week on your toothbrush. It is best to throw it away and use a new one. Use your own small tube of toothpaste as this too will have live virus on it where it touches the bristles of the brush when you are loading it up with toothpaste. I found that and other really good information at Mother Nature. So what can you do to prevent or to treat cold sores? There are some lifestyle changes that you can make which might help to reduce the occurrence of cold sores. Stress for example. Try to make some changes to your lifestyle and include some meditation, yoga or going for a walk. Exercise can help to reduce stress in general. You might want to look at your work – life balance to see if there are things you can do to cope without so much pressure. If you know that getting too much sun can trigger off a cold sore then take suitable precautions such as wearing lip balm, a shady hat and not staying out in the sun too long. Apparently it helps to avoid foods that are rich in L-arginine because it strengthens the virus. The bad news is that chocolate is one of those foods. Nuts, coconut, soybeans, oats and a quite a few other foods are high in L-arginine as well. There is a list of L-arginine foods you can check out here. The good news is that you can balance out the L-arginine by eating foods that are high in L-lysine as this makes the virus weaker. I actually found that a bit confusing as I found some of the same foods on both sides?? Chocolate was one of them. I think the key is to make sure that the L-Lysine rich foods outweigh the intake of the L-arginine rich foods so that they work in synergy with one another to keep the balance and not stir up the virus. What I did find though was a lot of testimonials that said taking a supplement containing L-lysine is apparently very effective, so either ask about it next time you are at your local health store or shop for it online. There are some supplements containing L-lysine that are specifically made to reduce the incidence of cold sores. Also try to include in your diet foods that are rich in Vitamin C, Zinc and complex B vitamins as between them you will be providing your body with anti-virus tissue repairing minerals as well as vitamins that help stress reduction. Some people swear by the lemon treatment. This should be used as soon as you feel the first signs of the cold sore coming on. Cut a very thin slice of lemon and place it over the affected area and leave it there for at least 15 minutes. Throw the slice away when finished and use a fresh slice for every new application. It apparently stops the itching and is a remedy that has been used for many years in Europe. Licorice (the botanical) not the commercially made type is apparently very powerful against cold sores. You can buy it in a delicious tea form from your health store. Applying full fat milk with a clean cotton ball is another natural remedy that has been used for years with good effect. Recent studies have found that a substance called monocaprin, a fat found in milk and it has the capacity to kill the virus on contact. Amazing how so many of Grandma's remedies are now proving to have some basis. If you have aloe vera growing in your garden, apply the gel directly to the cold sore. Reapply several times throughout the day. What I like about aloe vera is that it is very soothing and stops the itching and the burning sensation and it seems to heal skin beautifully. Tannic acid in tea also is known to have anti-viral properties. When you make a cup of tea, pop the used tea bag into the freezer for a few minutes and apply it directly to the cold sore. Leave it there for up to half an hour. Repeat this every 3 or 4 hours using a fresh tea bag each time. 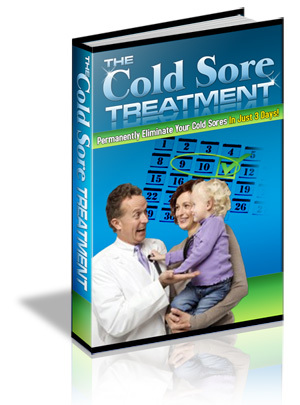 It is clear that the best way to deal with annoying cold sores is to take both a proactive and a reactive approach. Try to stay relaxed, fit and healthy and watch your diet to reduce the incidence of cold sores and if the pesky blighters do attack, immediately deal with them using some of the tips provided. Cheers and have a healthy happy day! Very good article and not complicated to understand. Just to add up. Eat healthy and nutritious food. It’s been noted that some foods can stimulate canker sores in some people, notably acidic fruits and junk food. Another way on how to get rid of a canker sore is eating healthier foods. If you get canker sores after consuming some of those, it’s best to avoid them as a way on how to get rid of a canker sore.